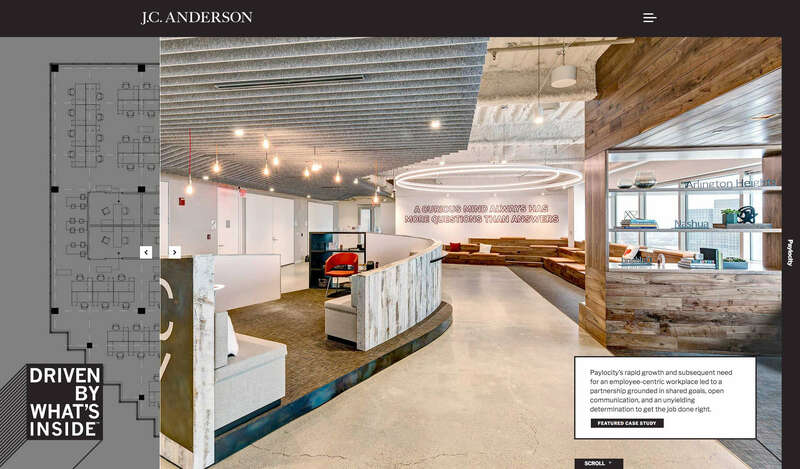 Partnership is something J.C. Anderson, interior construction company to all of Chicagoland since 1879, knows well — and over at Cultivate, we were thrilled to add our name to the list of collaborators. 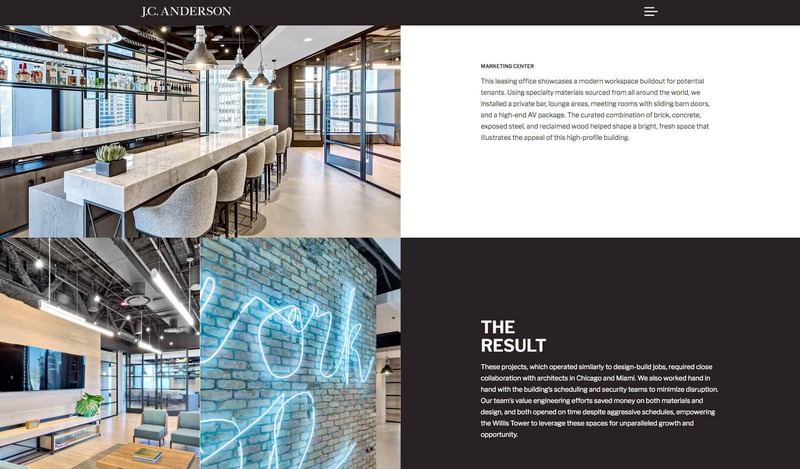 Together we’ve been hard at work to develop a new brand message and visual identity that honors the company’s heritage and drives home its commitment to building modern, thoughtful spaces. Today, we celebrate the launch of their new website, which conveys their belief that interiors matter, and character does, too. 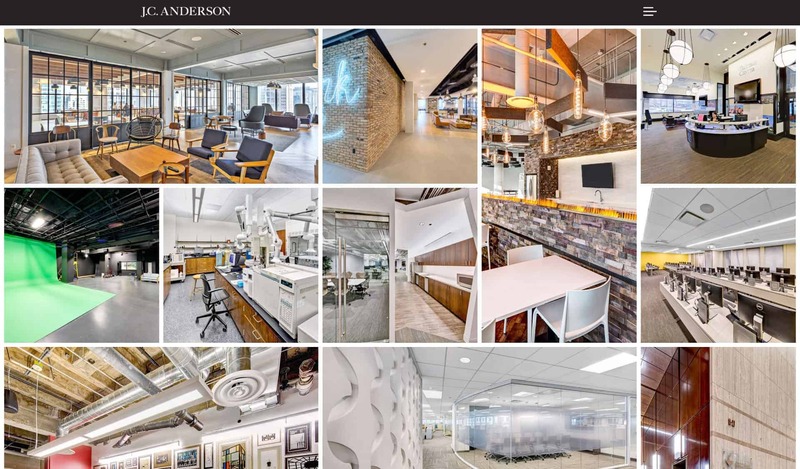 They’re J.C. Anderson, and they’re driven by what’s inside.